Renaissance Hotel - PRIME AE Group, Inc. 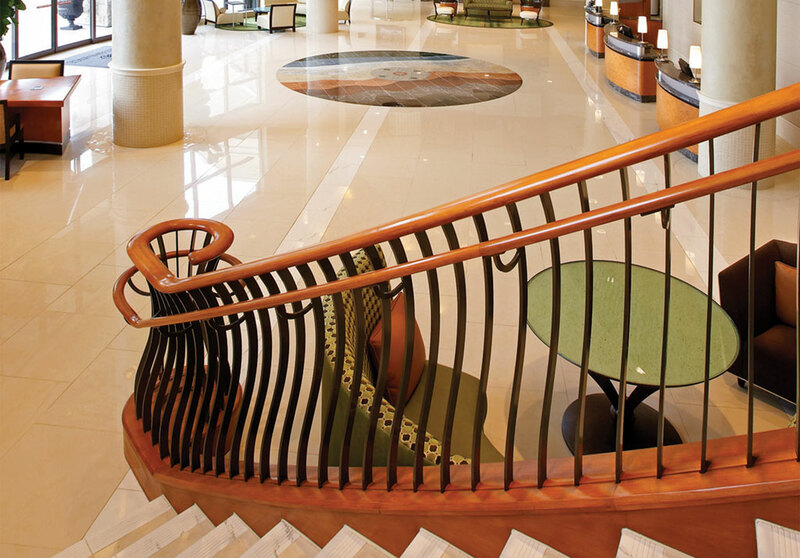 Located in a premier shopping, dining and entertainment complex, North Carolina’s culture and arts was reflected in the pottery, artwork, floor medallion, and light fixtures of this luxury hotel. 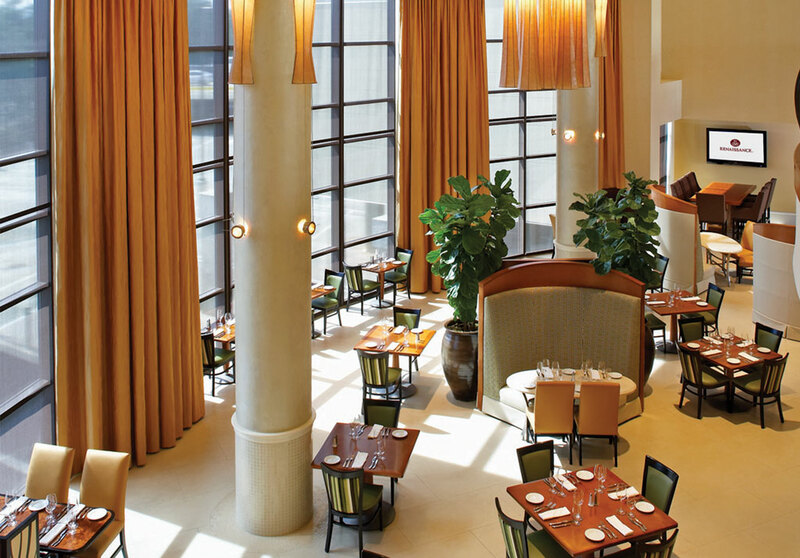 This 223-room, ten-story luxury hotel includes the Flights restaurant and lounge, a 5,400 square foot ballroom, and upscale meeting space. 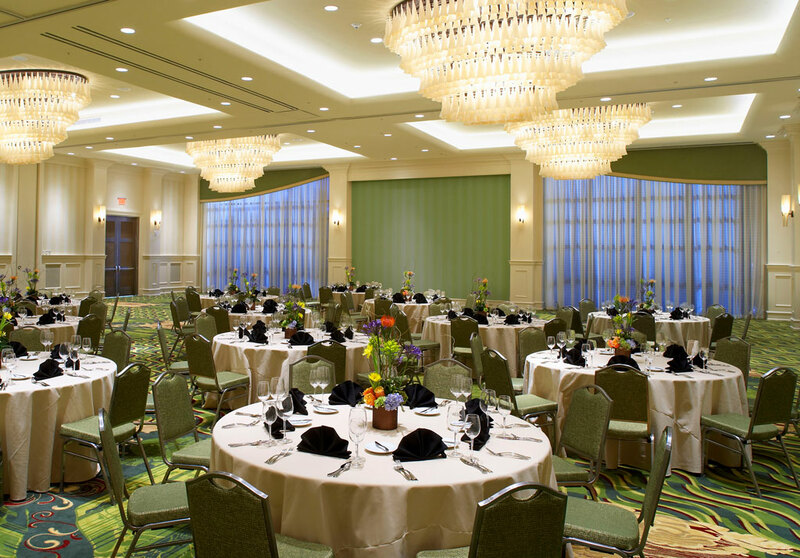 A president’s suite, club lounge floor, and hospitality suites offer a variety of guest accommodations. Our interior design staff created a sophisticated and expressive interior supporting the “Main Street Meets Madison Avenue” design direction. Social and individual zones were created through furniture arrangement and interior architecture. Custom lighting, ceiling designs, and cabinetry complement the ambiance. The color scheme of rich creams, pine greens, and butterscotch with a touch of eggplant was an excellent combination with the dark wenge and cherry burl wood tones. The selection of premium materials ranged from oyster shell wall covering and a glass top bar to custom designed Axminster carpeting.